Though it’s 1am on a Sunday morning, I wanted to post a few teaser pictures from today’s Hilton Chicago wedding! Raquel and Robert just finished their last dance at their reception as I post these photos! There are so many amazing pictures from today, it was hard to pick which ones to share! 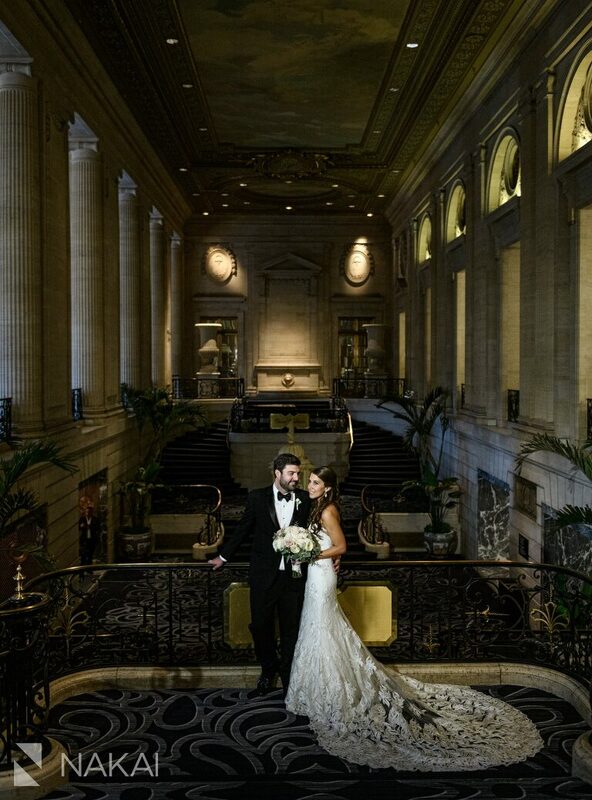 Shout out to Tiffany from Liven It Up Events and Erik from the Hilton for coordinating their special day! It was also great to work with ‘friendors’ in Livia Caporale, Andie Cumber and Keith Jorgensen from Poetic Productions! We’ve all been in the wedding industry for 10+ years and it’s always a joy to work alongside such talented people! If you missed them, be sure to check out the photos from Raquel + Robert’s Riverwalk + Lincoln Park Engagement Session! 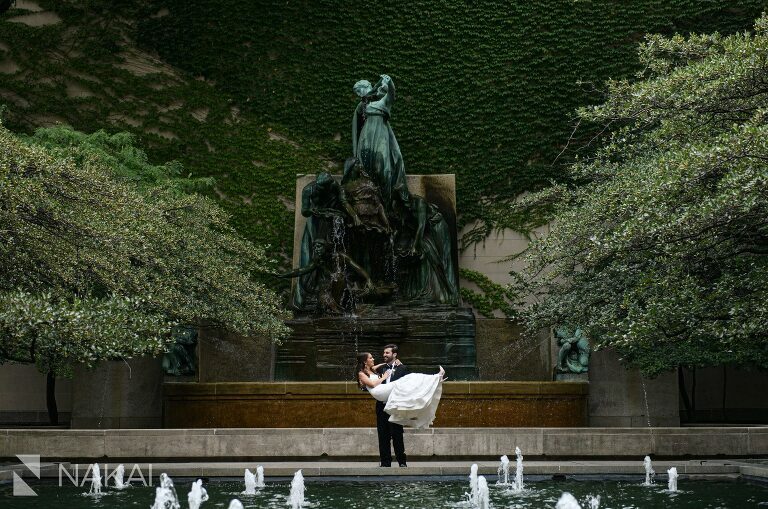 Love this photo of the bride and groom in the South Garden at the Art Institute. Photographer’s Tip: Use textures to your advantage! I love the tree leaves, the ivy and the copper statue! Not to mention the symmetry! For those that have never been inside, the Hilton Chicago has some amazing interior decor. It was built in 1927 and you can see the beautiful architecture in the hotel lobby! As a photographer, I love the symmetry here! The Grand Ballroom at the Hilton Chicago is simply amazing. It almost feels like a castle straight out of a fairy tale! Here’s the Grand Ballroom all set up for the reception! Thank you Raquel and Robert for having me as your wedding photographer! There are soooo many amazing photos to share, I can’t wait! Enjoy these for now!